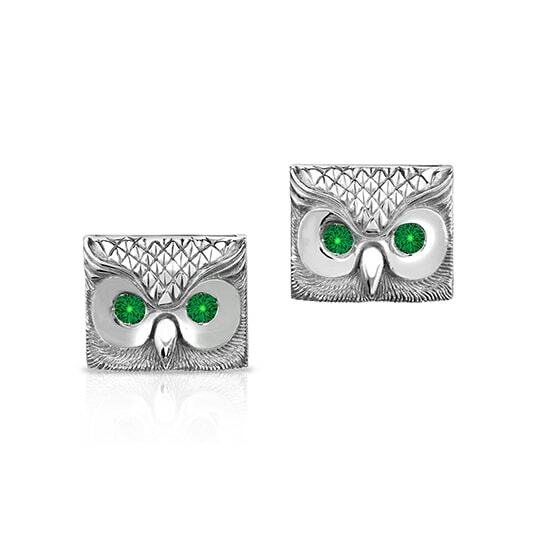 Featured in Sterling Silver with emerald eyes, our Owl Cufflinks are not only handcrafted, but actually hand carved. 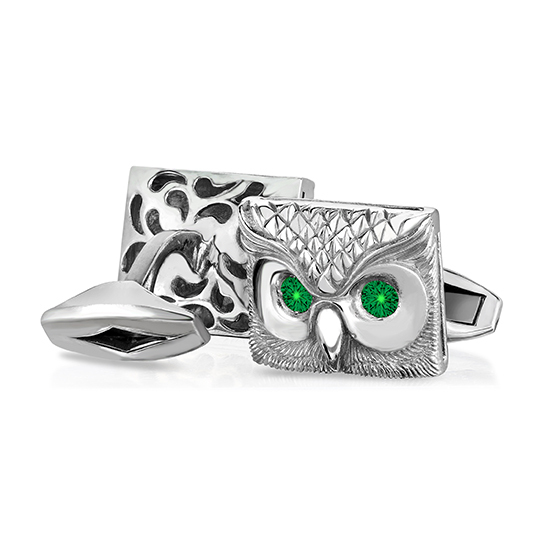 Created by the greatest of jewerly artisans, not only are the owls adorable, the finished Gallery on the back is gorgeous and shows off the true intrinsic quality of this cufflink. They are perfect for any gift giving occasion; Groomsmen’s gifts, Wedding gift, Father’s Day or Mother’s Day. Gender neutral, these make the perfect present for anyone who loves elegance and or collects owls. These cufflinks are also available by special order in 18k Rose Gold, White Gold and Yellow Gold with a variety of colored stones. Let us know which color combinations are your favorite!